Bless you Dixie, for sharing all of your research with us. I'm looking forward to your photos! Do these dolls not tug at the heartstrings? 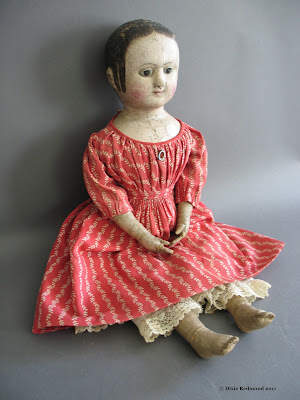 Your wonderful research brings us closer to the dolls that children carried and held close to the heart. 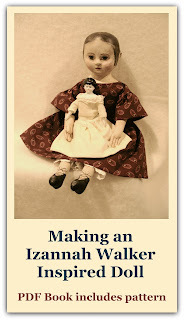 But alas I shall have to settle for my Izannah doll dress to take me back in time and the research you post for us to enjoy.